The latter implies a stage in life before serious responsibilities intrude on what is generally perceived as a care-free “student lifestyle.” As more schools and colleges work to engage “learners,” often called non-traditional students, how does this affect the way we think about alumni? Colleges build communities that foster fulfilling student experiences beyond what happens in the classroom. These communities complement academic preparation to set the stage for a lifetime of alumni engagement. In turn, alumni benefit current students through career contacts, advice, donations, or other opportunities to participate in an inter-generational community. Extending beyond the campus and those who currently reside there, the alumni body shows what a difference a college’s education makes in the world. Being part of the alumni network is a valuable part of the educational experience. As we focus more on learners with adult responsibilities who have less time for the seemingly “optional features” of the student experience, we need to rethink how to create those bonds that will connect learners across time and space in the ways this happens for “students.” How do “learners” become alumni? Unlike classical, student-based alumni, learners tend to be more focused on acquiring the qualifications needed for immediate job advancement. There is less time for sports, co-curricular activities, community engagement, semesters abroad, exploratory internships, and optional lectures, no matter how intriguing. Instead, meeting family obligations, managing health and security, and earning money to make ends meet, will typically take up more time and effort. When learners are not spending time in dorms, enveloped by an enriching suite of programs and possibilities, how can we expect them to develop an interest in staying connected and involved with their alma mater? And when we are intently focused on conveying knowledge and skills that can be immediately useful, do we have the time and resources to build any community? Given the other life commitments of learners, we need to build community in different ways, by engaging what learners are doing in their lives, using the work and family experiences as ways to connect them to the curriculum, to each other, and to others in the college community. These connections are not only worthwhile in terms of anticipating their future role as alumni, they also increase the chances that they will succeed academically and professionally. In this context, it would seem discordant to speak of alumni, but only if one is imagining fur-sporting patricians at an Ivy League reunion. Instead, we should focus on alumni as learners who joined a community of discovery that supports their efforts to reach milestones toward a more fulfilling and rewarding future. In principle, learners are better suited for an alumni trajectory, as their experience during the initial period of academic instruction will not be so different from when they become alumni, as they hopefully will stay connected and continue to share their expertise while continuing to discover with emerging generations of learners. But it is also useful to have alumni anticipation. How will learners’ progress be affected by everyone expecting them to continue their affiliation, engagement, and growth through the community they have joined? Indeed, the expectation that one is in the learning community for good might help overcome some of the obstacles that make it difficult for many of our non-traditional learners to reach those important milestones of certificates and diplomas. It is different to turn your back on a transaction in which you exchange some resources for training than it is to turn your back on a family-like situation that is committed to your success for the long haul. It would be too glib to say that we could improve attainment in higher education by simply declaring that all our learners are alumni in training. But it would not be alien to the American ethos to put some stock in the power of positive thinking, and to match that with high expectations and intense community support. After all, community is not only about the here and now, it is also about how we expect to belong in the future. What is also remarkable about a community of learners is that it is an identity we freely chose. This also makes it unique and potentially powerful. There are few elements of who we are that we get to choose. Our phenotypes, our families, our hometowns, and for most of us, our primary and secondary schools, and for some of us, even our spouses, are not chosen freely. Yet, the community where we want to learn in our adulthood, and through which we can choose to continue the journey of exploring to forge our careers and embellish our existence, this is one we can choose. And it is, I think, incumbent on the community we do choose to embrace each learner, not only for the part of the journey to certain prominent milestones like graduation, but for the entire journey of discovery. The enthusiasm and excitement of the first generational learner’s commitment should be met with equal energy by the community that was chosen. To see the power of this mutual embrace, take the example of Sweet Briar College whose closure was imminent. The alumnae refused to hear it, and they rallied to save the college by doubling annual fundraising to the point that gifts now account for half the college’s budget. The road ahead will not be smooth, but the heroic surge of support from alumnae demonstrated the power of community affinity that was created across generations through the common experiences shared at the college. I do not think that this dynamic of mutual help and affinity is simply a product of ample resources and privilege. It is part of any genuine learning process where we nurture minds with generosity that then benefit our community through higher productivity, seeing the generosity returned though alumni involvement. Our engagement with learners will surely benefit our community, but perhaps even more importantly all learners deserve the alumni advantage. Erin Hedges, M.A. ’13, had worked in the nonprofit field for many years, was managing her own nonprofit consulting firm, Hedges, in Indianapolis, and had started her family. A feeling, however, was drawing her back to school. She completed the executive master’s program while continuing her full-time work with her consulting business. As a result of her degree, Erin has grown Hedges to advise nonprofits in a more holistic way. While the company previously focused solely on grant services, it now also provides strategic planning and program development evaluation services. Need a graduate degree program that fits your life? Eric Richards, M.A. ’05, didn’t originally intend to go into philanthropy. The Franklin College graduate and Indiana native thought he wanted to go into politics. But when a unique opportunity arose in his senior year of college, he switched directions. Deeply involved in his fraternity, Lambda Chi Alpha, Richards was asked if he wanted to become a traveling consultant and visit chapters around the country to conduct and oversee standards of chapter excellence. He accepted, visiting chapters all along the east coast. After a year, he earned a promotion and began working full-time for the fraternity and then its foundation. With about four and a half years of part-time school, full-time work, Richards earned his degree in 2005. After working at Little Red Door Cancer Agency, he is now president and CEO of Cancer Support Community Central Indiana, a local affiliate of a national organization. He manages staff, collaborates with board members, helps plan the organization’s signature fundraising event “Laughing Matters,” fundraises, manages finances and strategic plans, and even changes a light bulb now and then. Knowledge gained from his master’s degree education informs his thinking today. 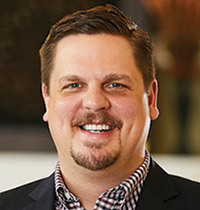 In addition, he uses research produced by the Lilly Family School of Philanthropy to inform his thinking about current philanthropic trends and policy. He continues to support the school as well. At the 2017 Association of Fundraising Professionals (AFP) Indiana Chapter’s Annual Indiana Philanthropy Awards, alumna Taylor Whitaker, B.A. ’15, won the Outstanding Young Adult award, a prestigious honor for young fundraisers. She currently serves as the leadership annual giving officer at Butler University and has worked in fundraising since graduating. Whitaker came to IUPUI intending to major in law, but then learned about the Lilly Family School of Philanthropy from Lisa Maxwell-Frieden, who works in higher education fundraising. “I’ve always had a passion for serving people and after taking a class at the school with Dr. Kathi Badertscher, I knew I needed to major in philanthropic studies,” she said. A field trip to the Eiteljorg Museum led her to pursue an internship there. “I loved interning at the museum; I worked as a development assistant. Some of my responsibilities included helping with one of their largest exhibitions, the Ansel Adams exhibit, and with the 25th anniversary gala,” Whitaker said. She remains engaged with the museum. “I serve on their young professionals board, Agave, as the fundraising chair and help with different volunteering opportunities,” she said. Soon after earning her bachelor’s degree in philanthropic studies, Whitaker received a job offer. 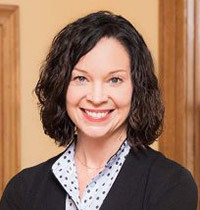 Recently, Whitaker realized that she wanted to work in higher education and advance in her career, which led to her current position at Butler University. “I work with annual fund donors up to the $10,000 level. I follow up with them and with others who may have lost contact with the school. We want to make them feel special and part of our community,” she said. Whitaker plans to stay involved with the Lilly Family School of Philanthropy as well. Know someone who wants to change the world? 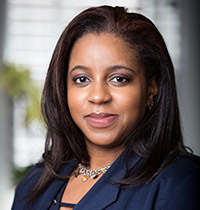 Growing up in The Bahamas, Kim Williams-Pulfer, Ph.D. ’18, learned about the importance of community from her mother. She cites her mother’s influence, especially through observing her work as a teacher. “By the 1980s, within a newly independent country, Bahamian citizens were thinking about how to use cultural identity as a way to deepen their sense of community. My mother and her colleagues focused on developing this sense of community through their teaching practices,” Williams-Pulfer said. With their powerful influence on her character and identity, teachers played an important role as she grew up and later moved to the U.S.
Williams-Pulfer found herself in various teaching roles. 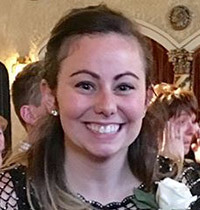 She taught classes in English and History at the high school level exploring interdisciplinary connections across history, art, and global issues. While she loved teaching, she knew she wanted to return to academia. “I’ve always had a bug to go and get a Ph.D. and spend time deepening my research skills,” she said. After teaching, Williams-Pulfer began to look for programs that combined her interests. Initially, she believed she wanted to earn a Ph.D. in English. However, her childhood and teenage influences soon came into play again. 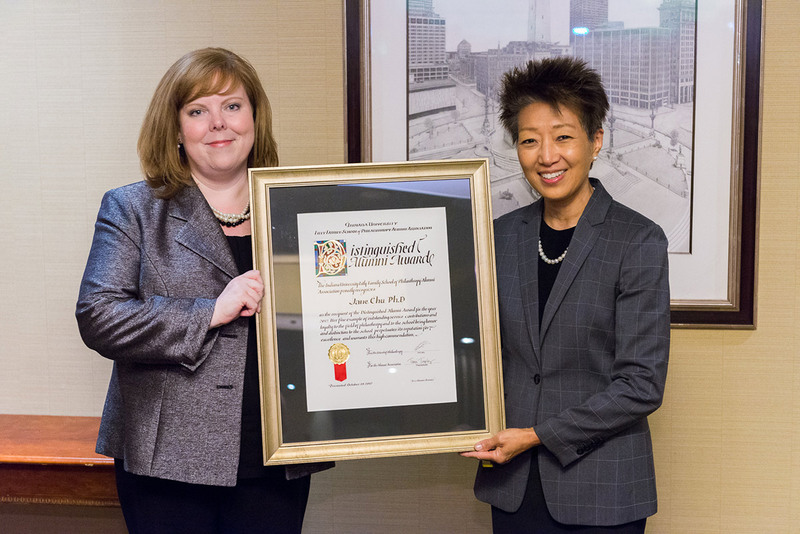 While in that program, she took a class with Amy Conrad Warner, IUPUI Vice Chancellor for Community Engagement, who encouraged her to apply for the Lilly Family School of Philanthropy’s Ph.D. program. Recently, Williams-Pulfer successfully defended her doctoral dissertation. She analyzed the development of Caribbean civil society across politics, social movements, activism, social welfare, and artistic engagement. “I look at what civil society means from the perspective of people who were historically disenfranchised, how they go about achieving increased rights, and how philanthropic action develops in those spaces,” she said. Williams-Pulfer credits Dr. Dwight Burlingame, Dr. Emmett Carson, founding CEO and president of the Silicon Valley Community Foundation and distinguished visiting fellow at the school, as well as her dissertation committee for support throughout her years in the doctoral program. “Dr. Burlingame is an amazing mentor who guided my appreciation for philanthropic studies education,” she said. Williams-Pulfer also worked with Dr. Carson as a research assistant. He provided her with a deeper understanding of philanthropic values like social justice as well as institutional approaches for achieving social change while her Ph.D. dissertation committee provided her with strong support. “I had a fantastic dissertation committee with co-chairs Dr. John Stanfield and Dr. Jennifer Thorington-Springer along with committee members, Dr. Brian Steensland, and Dr. Lehn Benjamin. They offered me profound insight with compelling cross disciplinary conversations,” she said. Williams-Pulfer is looking forward to graduation and continuing with her research and teaching. Want to take the next step in building your knowledge of philanthropy?